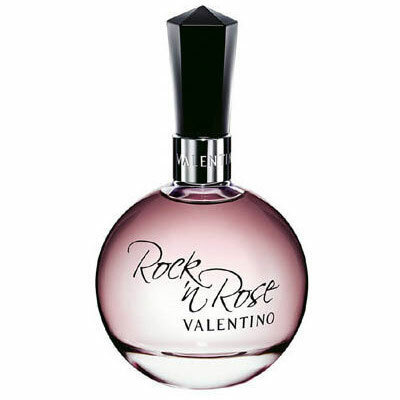 Rock`n Rose is a fragrance for rock princesses, young women, 'irresistible elegant and provocative', as said by Valentino Garavani about his fragrance. Valentino dresses many of rock stars and knows exactly what he is saying. His fragrance has a marvelous rose in its heart, softened by gardenia, heliotrope and vanilla, which also bring in a bit of intrigue in its stern sound. The perfume Rock`n Rose is composed of fresh fruity ('irresistible'), classic floral ('elegant') and sensual ('provocative') nuances, just as the great Couturier said. The top notes are lily of the valley, black currant, and bergamot. The heart notes are rose, gardenia, and orange blossom. The base is sandal wood, heliotrope, iris and vanilla. The bottle is shaped like a glass sphere; it lies comfortably in hand, with a black top with edges diamond-like shaped. 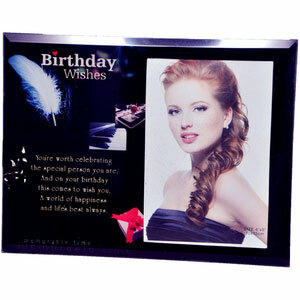 The fragrance was launched in 2006. The nose behind this fragrance is Francoise Caron.